Reminiscent of Currier and Ives designs from long ago. 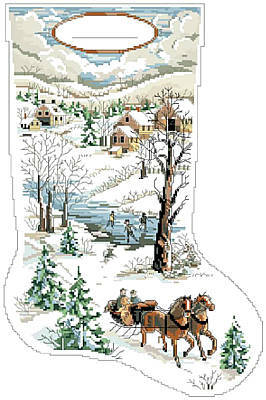 This charming stocking will look beautiful on your mantle. Contents: Stitch Count 151w X 229h. Finished design size on 14 count 10-3/4" X 16-1/4"